A new proposal to tighten the cap on annual tax increases favors wealthier homeowners at the expense of needed government services, critics say. “Prices are up, a little over 9 percent for condominiums and 12 percent for single-family homes,” said Bo Menkiti, president of D.C.’s Association of Realtors. The market is rising just as the big spring selling season begins, but rising prices also mean rising residential property taxes. 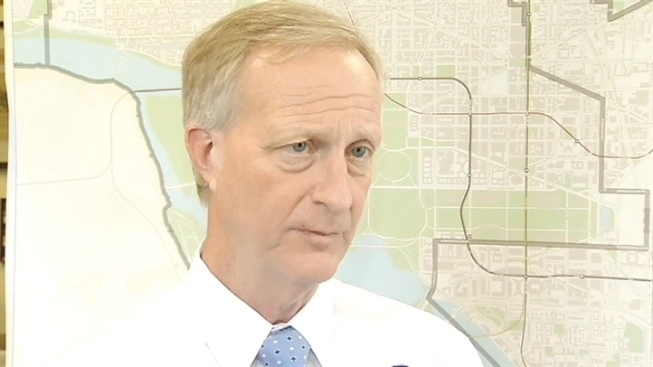 D.C. Council Finance and Revenue Chairman Jack Evans is proposing new tax relief targeted at people who stay in their homes but face rising property taxes each year. “It really helps our longtime homeowners and condo owners,” he said. The city now caps any residential tax increase at 10 percent each year, saving homeowners about $30 million. Evans wants to lower the cap to 5 percent, saving taxpayers about $60 million. D.C. collects about $579 million in residential taxes each year. “This is really to try to protect people that have been in their homes a long time, seen this increase year after year and who can't afford to keep their house,” D.C. Council member David Grosso said. Grosso and other council members say they want to hear from a city tax revision commission before changing any taxes. Some advocates complain the lower tax cap would favor higher-income neighborhoods, and that the city would lose revenue for needed programs. Mayor Vincent Gray plans to discuss the city's housing and tax issues Tuesday morning.